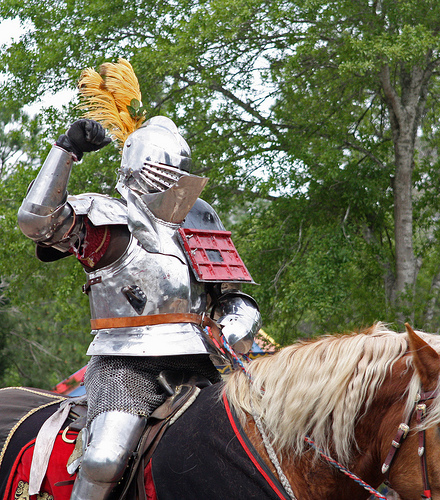 I've posted my photos from last weekend's trip to the Sherwood Forest Faire over on Flickr. I didn't get quite as many good photos from the joust this year since the area where I took up close photos last year (and got a face full of dust) was very muddy this year. No complaints though, we need the rain. I also managed, on a mostly cloudy day in a space mostly covered by trees, to get a little sunburned. Quite a talent!